To learn how to make your home more secure, watch out for each other and the neighborhood and report suspicious activity to the police. To help build pride and serve as a springboard for efforts that address community concerns such as recreation for youth, child care and affordable housing. To get to know your neighbors and work together in a program of mutual assistance. To be trained to recognize and report suspicious and criminal activities in your neighborhood such as burglary, larceny, vandalism and littering. To implement crime prevention techniques such as house security, suspect identification and community clean-up. 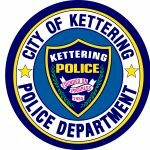 Call Officer Joe Ferrell at (937) 296-2458 or use our online form here.